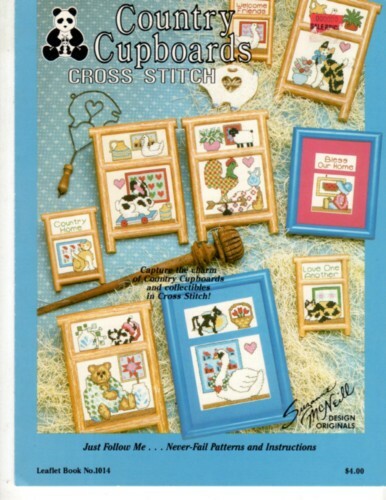 Design Original Country Cupboards counted cross stitch leaflet. Country Home, Love One Another, Country Kitty, Country bunny, Country Rooster, Country Swan, Country Teddy, Welcome Friends, Bless Our Home. Price tag on cover.